Weiss Tech Hockey provides coaching for hockey coaches. We offer tools and services to help hockey coaches achieve a higher level of understanding and performance. 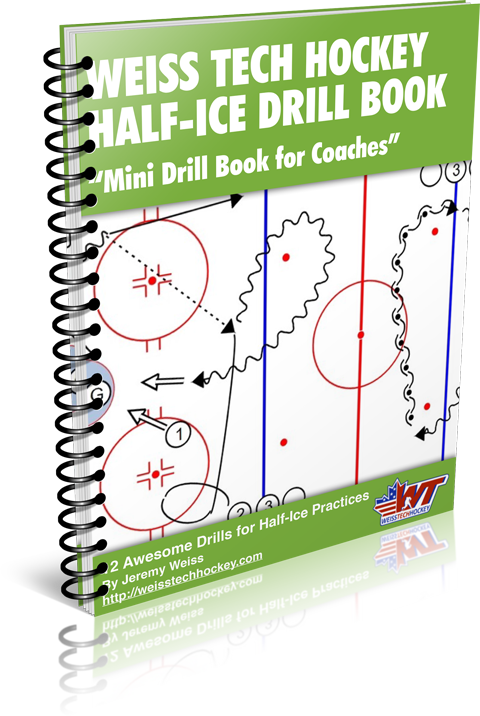 These tools include multi-media instructional material, hockey drills, video skills and game analysis, virtual consulting, product reviews & recommendations, and various other types of coaching tips. 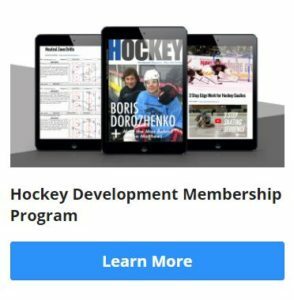 One of the biggest things that sets us apart from traditional hockey instructional material is our content delivery methods. 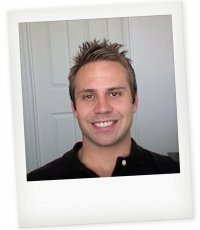 We try to be as cutting edge as possible, and offer our material on as many platforms as possible, including online video, e-book, PDF, computerized drill diagramming formats, and podcast. Our primary audience is hockey coaches. However, our material is also useful for hockey players and parents. Jeremy Weiss, B.S. of Exercise Sciences, currently owns and operates Weiss Tech Hockey Schools, offering development camps, private lessons, team consulting, and coaching instruction. One of his core philosophies is to combine “European skill and finesse” with “North American strength and toughness.” He recently brought his hockey knowledge online with his Hockey Drills and Skills blog which can be found at the URL listed below. Jeremy grew up in Toronto, Canada where he was introduced to hockey at a young age. He was fortunate to be schooled by excellent hockey people for most of his young career. Jeremy learned to skate from Czechoslovakian Martin Maglay. He played most of his youth hockey for the Wexford Raiders ‘AAA’ (part of the then-called Metro Toronto Hockey League), and was coached by his father Stan Weiss. During the “Wexford Years” Jeremy’s team enjoyed enormous success winning 26 of 32 major tournaments over the course of six years. These victories included multiple international tournaments, as well as an All-Ontario Championship. Jeremy went on to play some higher-level hockey, including two years of Jr. “A” hockey in the Ontario Provincial Junior Hockey League, and some college hockey. However, it was his hockey up-bringing in those early years that gave him his unique perspective on coaching young hockey players. Over the years, Jeremy was privileged to be coached by many world-class instructors, and included Stan Butler (12-year veteran in the OHL), Dan Cameron (personal tutor of Eric Lindros), Brett Calligan (former NHL’er for the Oilers), Martin Maglay (former NHL’er and member of the Czech national team). These coaches helped shape his hockey philosophy and current coaching style. recommendations, and various other types of coaching tips. you seem to have a very deep and comprehensive site – very good. I have a (first year) MITE team and need something a little moe \\\’beginnner\\\’. Do you have levels of info/service/instruction? Or woyuld i have to mold what I see (complex) to an easier format? you seem to have a very deep and comprehensive site – very good. I have a (first year) MITE team and need something a little moe \’beginnner\’. Do you have levels of info/service/instruction? Or woyuld i have to mold what I see (complex) to an easier format? you seem to have a very deep and comprehensive site – very good. I have a (first year) MITE team and need something a little moe ‘beginnner’. Do you have levels of info/service/instruction? Or woyuld i have to mold what I see (complex) to an easier format?